Look at how swiftly this fangame is going. It may be unofficial but christ, it sure seems like it's something bigger what with all this. I love it. Dunno about this new blogger layout though, lol. Will take a couple days to get used to. Kinda wish the "art book" was a little bit more high res, but I can't complain. If you know how to save the .swf file, you get to have a handy little stylish art book in Flash format. 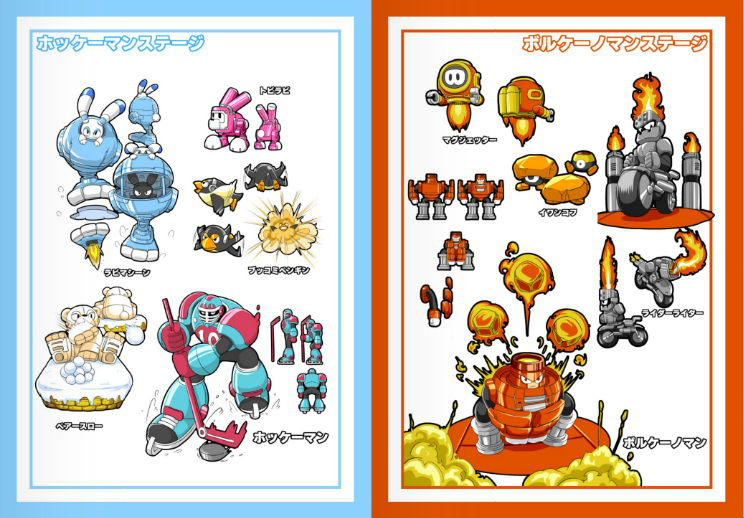 Is it just me, or are some of the images of Rokko Chan...suggestive? 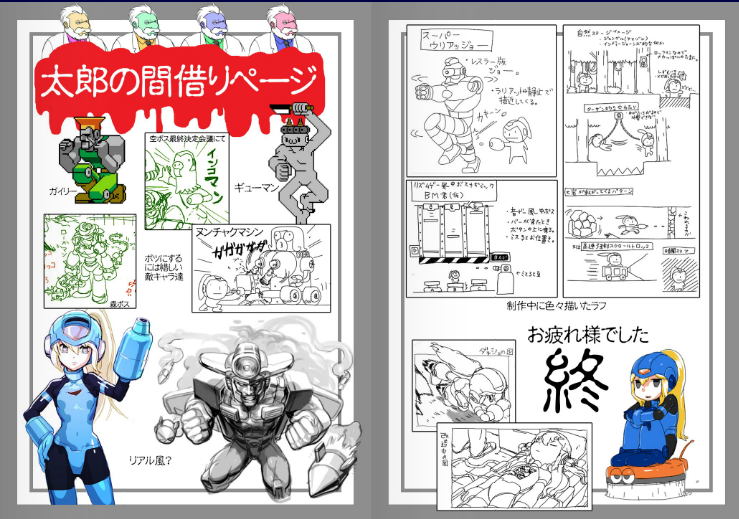 I like the success of Rokko Chan. Personally, I'm hoping for a 2. I extracted all the pages from the Flash file and put them in a more convenient zip file. Watched a youtube vid of a level last night. The game is really well done, I'm impressed. The main 6 stages had a nice balance of difficulty, and hoorah for the dash! It's getting a lot of coverage from a number of sites, so I imagine it's just a bandwidth thing. 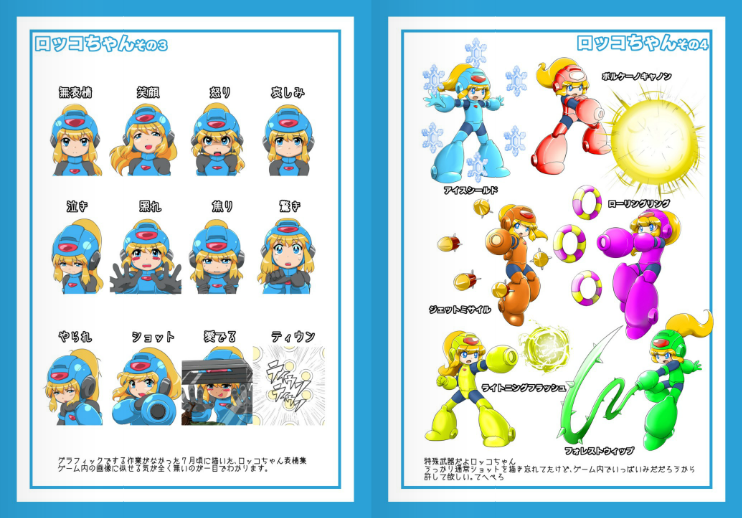 Yeah a Loli Mega woman, my dream comes true finally!! And the art of Rokko is awesome too, very suggestive. Off-topic: Hey, Protodude! Did you blog get an upgrade when I wasn't looking? I notice each article has like/share buttons now and some of the fonts changed. The layout seems ever-so-slightly different, too. Not to mention, some people submitting comments from Blogger now have an avatar by their name in the comments page. Yep! I've been tinkering with a refreshed format for a while now. Went live last night. @GeminiSaint There's only 12 pages in your zip file and the post said there's 22 pages...are some missing? Is anyone having trouble reaching the actual Rokko Chan website? I keep getting 404 results from all of the King-Soukutu pages. @Joseph: The names of the Mad Sisters are Fransiska (silver) and Lancea (gold). The KE in Lancea's name is pronounced as a CE instead.